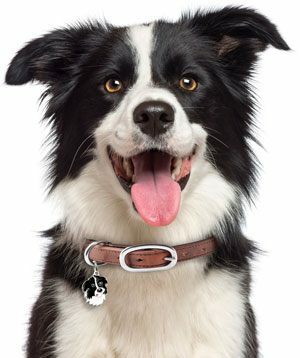 Border Collies are a lively and rambunctious breed. They were originally bred as work dogs. Originating in Scotland and northern England, these energetic dogs were used for herding livestock. Modern Border Collies are still used on farms around the world, but they also make great house pets. However, they do require a lot of attention. Their impressive mental capabilities and constant need to get exercise require special care. It's important to feed Border Collies correctly to promote proper health and prevent potential behavioral issues. Because they're so active, these dogs need a considerably higher caloric intake per day compared to other breeds. Adult Border Collies tend to have a high metabolism. They need an ample supply of food to replenish their energy and provide enough fuel for the day. These dogs aren't lazy by any means. Even older dogs are known to be quite active and always ready to expend their energy. When figuring out how much to feed a Border Collie, food should always be measured with calories. Typical adult dogs will need upwards of 1,000 calories per day to thrive. This is just a ballpark number to consider, as every dog is different. 1,000 calories should be suitable for the average active adult dog. 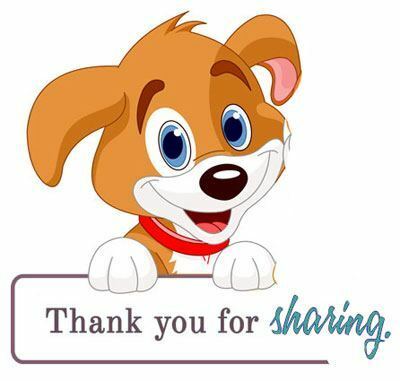 Dogs that are highly active or perform work regularly will need more calories per day. On the higher end, they should be consuming roughly 1,400 per day. This will help maintain a healthy weight while providing working dogs with the energy they need to run around a farm and guide livestock. As dogs get older, they won't require as many calories. While Border Collies are relatively active throughout their whole lives, owners can expect to see a decline in energy and activity as they age. Senior dogs will only need approximately 700 calories a day. It's important to monitor their behavior as they get older to prevent over-eating and weight gain. 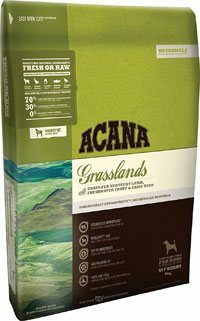 This grain-free dog food from Orijen Acana is a great option for Border Collies because of its abundant protein and low carbohydrate levels. The formula contains natural lamb, eggs, duck, quail, and trout as its protein sources. 34% of the food's calories come from protein. This variety of sources supports lean muscles and better overall health. The ingredients in this dog food are limited to high-quality essentials. Fast carbohydrates are replaced with nutrient-rich vegetables for optimal health. They make up 24% of the formula. The unique alternative to substandard kibble is made daily with fresh and raw ingredients. This helps to limit processing, resulting in a product that's as natural and fresh as possible. 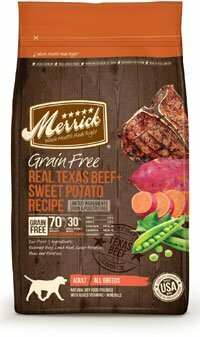 Upwards of 70% of the ingredients in this dog food from Merrick are derived from meat. The remaining 30% comes from fresh produce, resulting in a natural and healthy meal for Border Collies. The main protein source is deboned beef. It makes up 38% of the formula. It also contains a high amount of Omega 3 and Omega 6 fatty acids to enhance the dog's coat. These are introduced with salmon and flaxseed oil. Various antioxidants and nutrients are offered through fresh blueberries, peas, and other produce. There's no harmful grain in this formula. Instead, the carbohydrates come from potatoes. The inclusion of beneficial glucosamine helps to prevent joint issues as the dog ages. 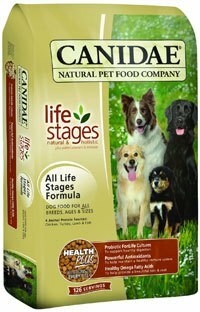 This versatile dog food from Canidae is designed for any dog of any age and breed. It contains a number of nutrients and vitamins that can benefit any dog. The main sources of protein include chicken meal, turkey meal, lamb meal, and fish meal. They provide amino acids to build and maintain muscles. It's free of corn, wheat, and soy. Instead, it utilizes healthy brown rice with peas and papaya as carbohydrates. These superior alternatives help produce energy to keep dogs active. Effective probiotics are added to help with digestion while the numerous antioxidants work to keep the immune system strong. It's free of any artificial colors and flavors, making it a safe option for a large range of dogs. 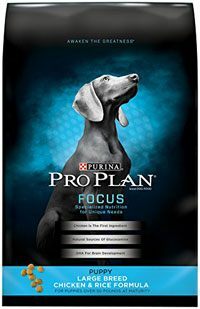 If you're looking for a protein-rich formula that's designed for working dogs, this option may be for you. 32% of the calories come from the protein. The main sources of protein include chicken meal and fish meal from herring. As a carbohydrate, the dog food utilizes brown rice. Algae is used as a source of Omega 3 fatty acids to keep the skin healthy. The dog food also contains proteinated minerals. They make the protein sources more effective in developing lean muscle mass while also improving the immune system to help fight off harmful diseases. It's a fairly simple formula that contains impactful ingredients that can enhance a Border Collie's overall health. Purina's high-quality offering contains a number of ingredients that can directly benefit Border Collies. Designed to improve focus, it contains DHA from fish oil that helps stimulate the brain and improve vision. The fish oil also contains antioxidants and omega fatty acids to keep the dog looking their best. Glucosamine is incorporated through natural ingredients like poultry meal and fish meal. It can help keep the joints and cartilage in good condition. There's also calcium to strengthen the bones and teeth. Chicken meal is used as the main protein source while rice is used as the primary carbohydrate. This particular formula is designed to provide a complete and balanced diet with a great fat to protein ratio for active dogs. These dogs fair well with two separate meals a day. While many owners may choose to feed a single large meal a day, it's recommended to split up their caloric intake into at least two separate meals. This helps to regulate their energy throughout the day, which is especially important for working dogs. Feeding a single meal in the morning or evening can cause dips in energy that affect their performance. It's important to avoid free-feeding. 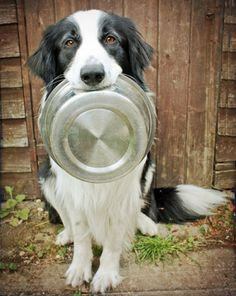 This method, which involves leaving food out at all times, can cause weight gain in Border Collies. Free-feeding is great for ensuring that dogs get all the nutrition they need, but dogs don't always stop when they're full. Over-eating will lead to weight gain and obesity. This is true with all dog breeds, even active Border Collies. It's important to pre-measure meals accordingly. Border Collies are a medium-sized breed, so they can easily consume a vast majority of food options on the market. They're not limited to specific types or sizes of food. When it comes to choosing dry or wet food, it's all up to personal preference. 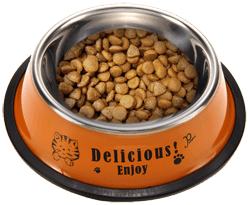 Dry kibble is generally more affordable and versatile in terms of formula. Modern dog food manufacturers can pack their formula with all the essential nutrients, making it easier to regulate what the dog consumes. The same goes for wet food. However, wet food tends to have a higher percentage of protein, which is beneficial for the dog. It also tends to be more appetizing due to a higher fat content and strong flavor. When trying to decide between wet or dry food, take the dog's preference and price into consideration. With their high metabolism and constant energy, it's important to feed Border Collies a diet that's designed to keep up with their needs. While other calmer breeds can get away with a simple balanced diet, these dogs require food that's heavier on proteins and fat. 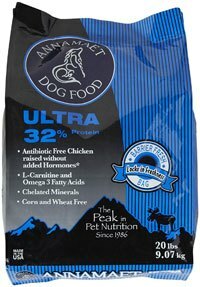 The more protein a dog food has, the better it is for a Border Collie. Typically, standard dog food formulas contain approximately 25% protein. This essentially means that a quarter of the calories in the food come from protein sources. With this active dog breed, it's recommended to go for food that has upwards of 50% protein. Proteins contain essential amino acids that contribute to their overall health and development. Regardless of how active the dog is, it's likely to have strong muscles that need a constant supply of protein to maintain. Failure to supply a high level of protein can lead to weakness and lethargy. While substandard dog foods usually contain a single source of processed protein, it's a good idea to go with multiple high-quality sources. The best food will contain at least 2 different sources. They should come from natural and unprocessed sources. Cheaper foods usually go with meat byproducts, which doesn't provide the same benefits as a natural source. Just because they need a lot of meat doesn't mean that formulas should be free of natural fruits and vegetables. As a source of essential nutrients and vitamins, they play an important role in achieving good overall health. Depending on the particular brand and formula, dog foods can contain a bevy of different ingredients. A variety of different fruit and vegetable ingredients is recommended rather than a single source. It's good to look out for beneficial fruits and vegetables. Those high in antioxidants and beneficial vitamins are best. These include raspberries, carrots, peas, and so much more. Contrary to popular belief, not all fats are bad. In fact, they are essential for achieving a healthy coat of fur. Border Collies are known for their long distinct fur coats. The right types of fat will keep their skin healthy and help add luster to their coat. Fats are also easy to digest and provide an added boost of energy. Most dog foods contain some form of fat already. It's often used to make the food more appealing for dogs. The source of the fat is what's important. Ideally, the fat will come from the protein source. his ensures that the fat is all natural and unprocessed. Fats from fish meat are best because they are rich in Omega Fatty Acids. However, flaxseed and separate fish oils are also great. Border Collies are usually able to handle mediocre ingredients, but owners should still be weary. One type of ingredient that should be kept to a minimum is carbohydrates. Almost every dog food has some form of carbohydrate in it. They don't offer much in terms of nutrition to dogs, instead acting as a fuel for energy production. The ingredient is cheaper, so it's not uncommon for dog foods to contain up to 70% carbohydrates. Border Collies can consume carbohydrates and remain healthy, but it's important to keep their intake as low as possible. Some carbohydrates to avoid include corn, wheat, and soy. These ingredients can cause allergic reactions and upset stomachs. Look for healthy carbs like sweet potatoes and peas instead to take advantage of nutritional benefits. Other types of ingredients that should be avoided are artificial colors and flavors. These contribute nothing to the overall formula in terms of nutrition and health. Instead, they can actually cause irritation and weaken the immune system. Look for foods that are naturally flavored with healthy fats like salmon oil instead. 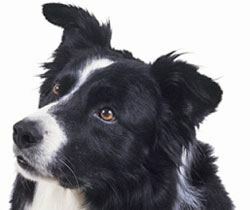 There are a few common health issues that can occur in Border Collies. These health problems are genetic, though a healthy diet can help alleviate symptoms. Because they're so active, joint issues are relatively common. Dogs will experience a lot of stress in their joints the more they work and play. As they get older, the stress can catch up to them, leading to significant pain. Hip dysplasia is especially common with Border Collies and can require serious medical attention. There are a couple of ingredients that can help with joint pain. Calcium can be found in numerous dog food formulas. It helps strengthen the bones over time. Another ingredient, glucosamine, will help with the connective tissue. It keeps the cartilage in the joints healthy and stable if regularly consumed. It's not uncommon for dogs to lose their eyesight as they get older. Symptoms of the problem can arise at a fairly young age, resulting in total failure as a senior. In most cases, this genetic issue is unavoidable. However, certain vegetables can help improve vision. Regular consumption of orange vegetables can help put off issues. These vegetables contain a number of nutrients that are proven to enhance vision in humans and animals, including Vitamin A and Beta Carotene.